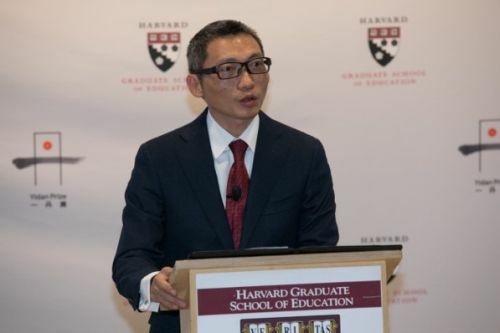 Cambridge, MA, Feb 8, 2018 - (Media OutReach) - Dr Charles Chen Yidan, the Founder of the world's biggest education prize - the Yidan Prize - visited Harvard Graduate School of Education together with the two Yidan Prize inaugural laureates, Professor Carol S. Dweck and Ms Vicky Colbert, to meet with world leading academia and educators on 5-6 February 2018 and address the audience on the role of education in realizing human potential. Titled "Realizing Human Potential Through Education: A Convening in Honor of the 2017 Yidan Prize Laureates", this conference examined the key drivers for transformational education reform, and the changes that must happen in order for education systems to tap into, develop and fully realize the hidden potentials in our children. 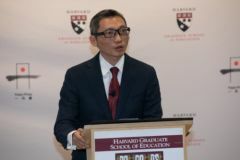 Charles Chen Yidan said: "Education has the power to transform lives and make the world a better place, and this is achievable through uncovering, nurturing and expanding human potential to meet the needs and challenges of an ever-changing world. We must do everything we can to broaden the horizons of our children, so that they can thrive in a world that lives only in our imagination right now. 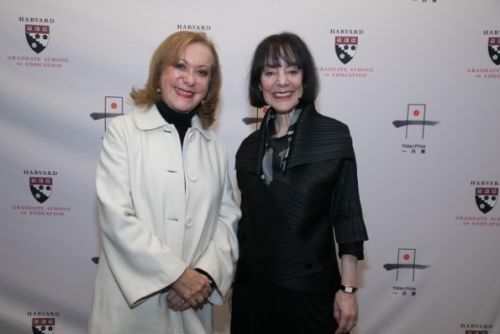 "I am honored to have the opportunity to join our inaugural laureates Professor Carol S. Dweck and Ms Vicky Colbert, together with many other outstanding educators, to explore the actions that need to be taken as we move forward." James E. Ryan, Dean of the Faculty and Charles William Eliot Professor of Education, Harvard Graduate School of Education, said in his opening remarks: "The Yidan Prize will elevate and celebrate the power and promise of education as the most important tool we have to address our greatest challenges, from national security to economic prosperity. It will shine a light on the power of education to lift people out of poverty, to reduce inequality, and to build a more promising future for the generations that follow." 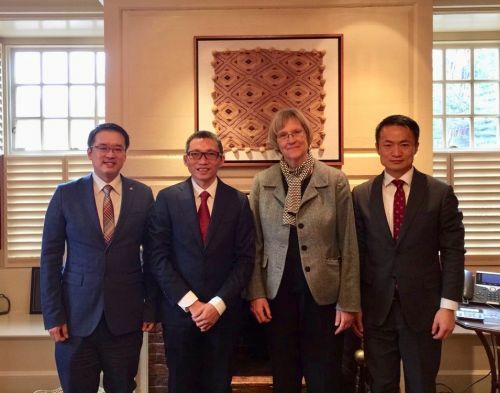 Following the huge success of the Yidan Prize Summit in Hong Kong in December 2017, which brought together over 350 world leaders on education for an enlightening, interactive dialogue on the topic of "Education Redefined: The Future is Now", the Yidan Prize Foundation took this much needed debate to one of the world's leading universities for another round of thought-provoking discussions at this conference held at the Harvard Graduate School of Education. In addition to celebrating the achievements of the recent Yidan Prize recipients, Professor Carol S. Dweck, Lewis and Virginia Eaton Professor of Psychology at Stanford University, and Ms Vicky Colbert, founder and director of Fundacion Escuela Nueva, this conference brought together leading figures from the worlds of education research, education practice and psychology to debate what future-oriented education looks like and how it can become reality for all children globally. The Yidan Prize is founded by Dr Charles Chen Yidan, the core founder of Tencent Holdings Limited. The Prize aims to recognize and support change makers for their most forward looking innovation that can create sustainable impacts on education systems for a better future. The Prize comprises two categories - the Yidan Prize for Education Research and the Yidan Prize for Education Development. The Prize is financed and governed by a HK$2.5 billion (about US$320 million) independent trust. Each prize carries an award of HK$30 million (about US$3.87 million), with a cash award of HK$15 million (about US$1.9 million), a further HK$15 million (about US$1.9 million) project fund, and a gold medal. Through a series of initiatives, the prize serves to provide a platform that allows the global community to engage in conversation around education and to play a role in education philanthropy. For more information, please visit www.yidanprize.org.